It is hard to believe that it is August already and the kids are heading back to school later this month. The lazy days of summer have passed most of us by without so much as a goodbye. Most of us make plans for the summer sometime before Labor Day and lament after Memorial Day that the summer seemed to fly by way too fast; whether that be the long-awaited family vacation or finishing that landscaping project that has been on the back burner for years. Regardless of what your agenda has on it for fall, the demanding lives that most of us live these days generally leave little time for much else. This late summer/early fall, be sure to take some time for yourself and your family, leaving the mundane home chores to American Residential Services. If you have ever taken an inspirational, self-improvement course or simply have a friend that sells essential oils on Facebook, you probably know that life is all about priorities. Prioritizing your health, getting enough sleep, eating kale and spending time with those that you love, are all ways to make you a happier person. That is why most of us do not prioritize repairs on the house, painting that old playroom, unclogging the drain or mounting those shelves in the garage. These tasks definitely do not make most of us happy, and no amount of teriyaki marinated seaweed will cure that. 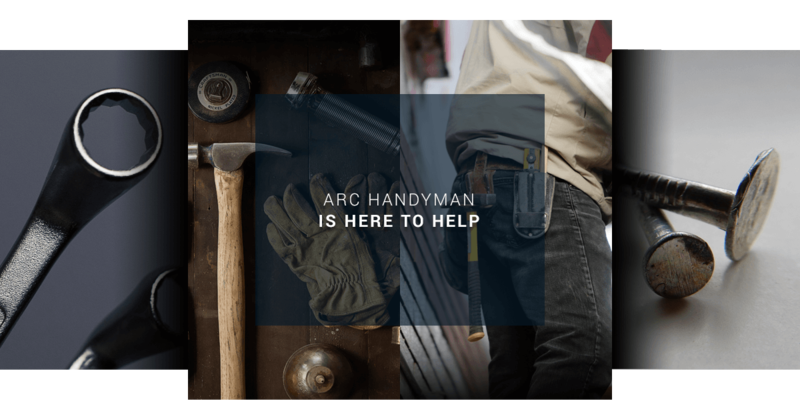 What will make you happy is picking up the phone, dialing 805-220-6069 and letting ARC handle all of your residential handyman services. Now that is the way to prioritize. Picture this: you are just arriving home from a spectacular dinner with the family, McRibs all around. About the same time your stomach starts to gurgle, the sky begins to darken, thunder sounds in the distance and the clouds open up into a downpour. The garage door opens and your headlights shine through the pouring rain, straight into a garage so packed with stuff, your car will not fit. Stepping into the deluge, your brand new black dress and snakeskin heels instantly become soaking wet and you need the bathroom—now. You swear to yourself that organizing the garage needs to be a priority. At ARC, we are experts at building and installing creative shelving in garages of all sizes. 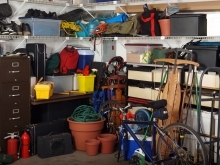 We can recommend creative storage solutions for your stuff and you might even be able to park in the garage again. It is late one night and the comforting drip, drip, drip of the kitchen faucet suddenly changes its tone, from a *tink* of water on a steel sink to the *splash* of water hitting water. Convinced the drip will be fine until morning, you drift back to sleep while promising to make the kitchen sink a priority. Waking up in the morning you find that the drip has become a steady stream and the slight clog in your sink must have become plugged with last nights quinoa and tempeh étouffée. Needless to say, the minor leak and slight plug has become a counter-washing, cabinet-soaking, full-blown leak all over your kitchen. Time to call ARC for your sink repair needs and next time don’t put quinoa and tempeh etouffee down the sink. The early morning light filters through the curtains and you just know it is going to be another gorgeous Santa Barbara day. That is, until the light hits your walls and you realize that your aging paint has gradually changed colors from white to brown. At that moment you decide that painting your bedroom is a priority. ARC is who to call when you need a room or two painted. The best part about painting your room? Picking a new color of course! Well, that and there is a motivational quote out there somewhere that says color is good for your diet or something. 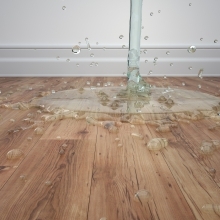 Regardless of the handyman work that needs to be done on your home, American Residential Services is only a phone call away. We pride ourselves on our professionalism, skills and our commitment to making our clients a priority. Give us a call today and let us take care of your priorities.